Bitcoin has the ability move tech giants like Nvidia, by lifting it to "heavens" or sending it crashing down. The reason? Graphic cards + mining. Taiwan-based computer hardware producer Nvidia updated its financial estimates for Q4 for the fiscal year of 2019. Infuriated gamers back in 2017 blaming crypto-miners for the sky-rocketing prices in expensive high-end graphic cards used both for gaming and... for mining crypto. Since then mining has dropped a lot, since its is extremely inefficient and costly in most countries, including Greece. The company had experienced a massive sell-off of stocks at the end of 2018, which sank the company’s stock price by 54 percent. 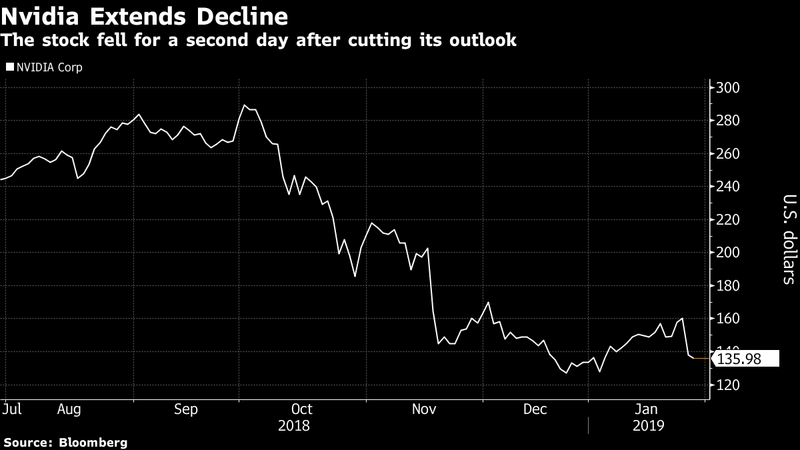 News of decreased revenues for the quarter has dropped Nvidia’s stock price by 20 percent, which is now trading around $128, down from $158.08 at opening on Monday.